THE BOOK. . . . . . . | DUSK TO DAWN . . . . . PLANTATION TO PARADISE? Presented in a compelling manner in which the author bridges the operatic culture for non-specialists by outlining relevant issues concerning slavery and the Enlightenment. The study demonstrates the various ways in which musical theatre illustrated the degree of sub-Saharan African influence, socially as well as economically, on all colonial lifestyles. The book explores the strong bonds between music, society, and the French concept of the sub-Saharan African Other–all of which were nourished within an environment consumed with the complexities of colonization. Powers’ book examines the elaborate system of social casting in these colonies; the environments in which nonwhite artists emerged; and both negative and positive contributions of the Catholic Church and the military to operas and concerts produced in the colonies. The author also explores the level of participation of nonwhites in these productions, as well as theatre architecture, décor, repertoire, seating arrangements, and types of audiences. The status of nonwhite artists in colonial society; the range of operas in which they performed; their accomplishments, praise, criticism; and the use of créole texts and white actors/singers à visage noirs (with blackened faces) present a clear picture of French operatic culture in these colonies. 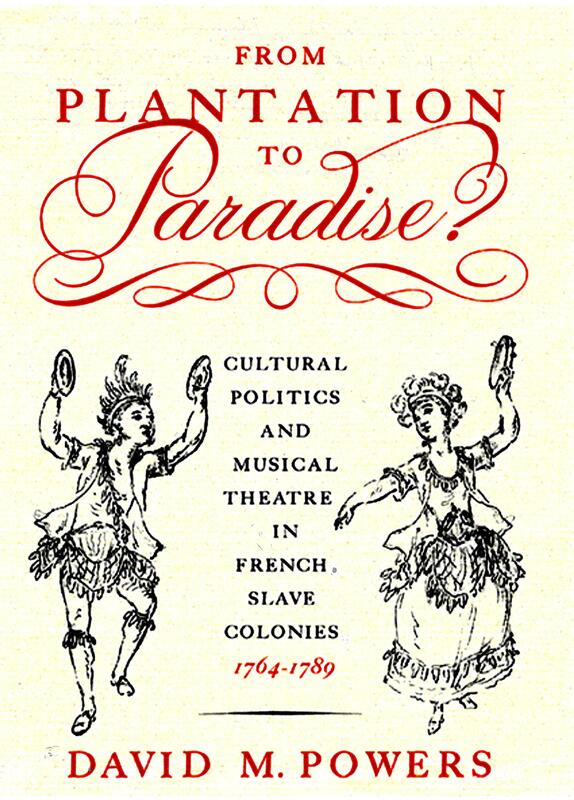 Approaching the French Revolution, the study concludes with an examination of the ways in which colonial opera was affected by slave uprisings, the French Revolution, the emergence of “patriotic theatres,” and their role in fostering support for the king, as well as the impact on subsequent operas produced in the colonies and in the United States. Thus, the study is intended not only for music educators and music students; it is also written for non-musical persons interested in Africana studies, French Caribbean studies, musical theatre, and status of women in colonial society. For information on the author, please click on “MEET THE AUTHOR” in the sidebar menu.